In SQL Server 2016 they are added support for outputting your query results in JSON. When you serialize your data to JSON using the FOR JSON clause, a data type conversion happens. The data types are converted from SQL Server data types to JSON supported data types. I just wanted to share the easiest way to get the modified date from a stored procedure in SQL Server. You do it just by accessing the Procedures table. Killing all connections in SQL Server is something that you may need to do from time to time. The two times that I’ve needed to do this most is when I’m restoring a database in my test environment or when I need to rename a database. Both of these operations require that there are not any open connections to the SQL Server database. There are a couple good scripts that I will show here. My favored method is to set it in single user mode. This is the easiest way kill all the connections to the database. It basically sets the database to only allow 1 user (you) and it will kill all the other connections. The following query will loop through all the open processes on the database and kill each one. Note that this may take a little bit of time to execute if there are long running transactions, it may take some time to roll them back. 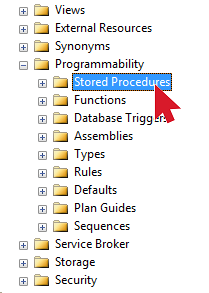 Have you ever noticed that you can only highlight 1 object in the Object Explorer in SQL Server Management Studio? This usually is enough for most things you do, but if you want to script multiple objects at once… it becomes a pain. Well there is a way to script multiple objects at once, and it’s super easy. Open the Object Explorer Details screen by selecting View -> Object Explorer Details. Highlight all the objects that you want, right click, and select Create To.